All parts in the Rapid boiler are easily accessible as the boiler case is removed from the front and, with the built-in expansion vessel, there is no need to use a jig. Intergas provides a three-year warranty on parts and labour for the Rapid. 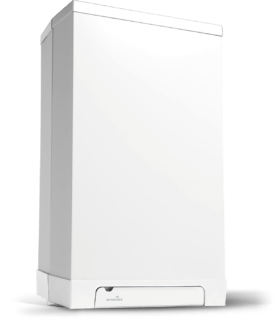 With its state-of-the-art control system, the Intergas Rapid can be easily converted to a ‘heat only’ or ‘sealed system’ boiler. The A-rated pump means the Rapid is already ErP compliant.